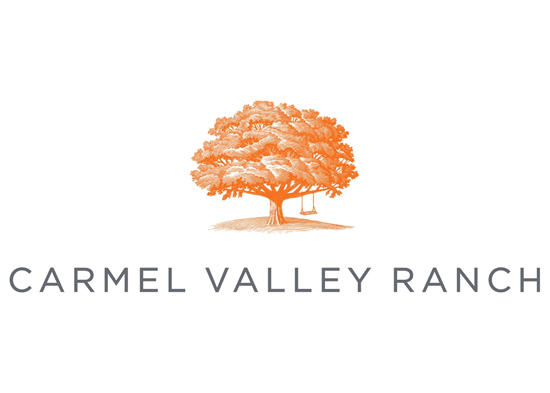 At the heart of Carmel Valley Ranch's 500 acres, winding through the core of the resort from the valley floor though the foothills and up to significant elevation, is the Carmel Valley Ranch Golf Course. As the only Pete Dye design in Northern California, the 18-hole, par-70 course has earned a reputation for its stunning views, friendly wildlife, tactical challenges and playability. 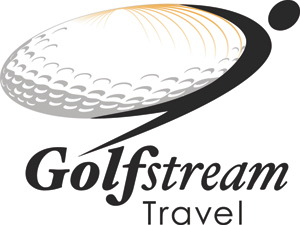 Experience championship-level play at a course rated among the "Best US Golf Resorts" by Travel and Leisure's "World's Best" readers' survey. 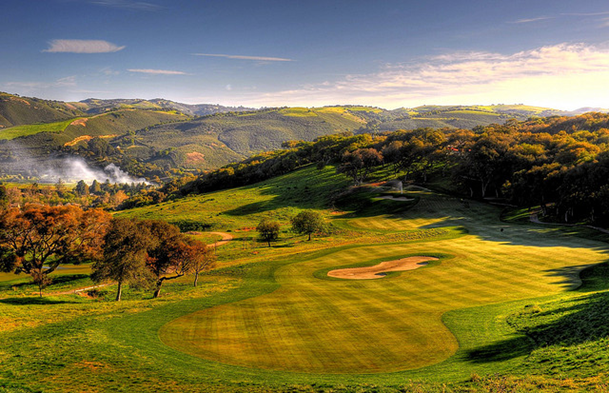 In a region known for spectacular golf experiences, Carmel Valley's unique microclimate bathes the course in more than 300 days of sunshine each year, and the location just a few miles from the coast means that temperatures are comfortable, offering ideal playing conditions year-round. 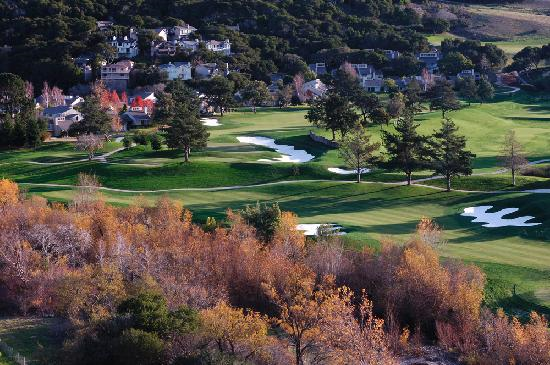 Pete Dye designed this Monterey golf resort course to take advantage of dramatic elevation changes and verdant natural beauty, with the course's two signature holes, 11 and 13, both offering breathtaking drops into the valley. Other holes wind through vineyards, lavender fields, ponds and old-growth oak groves draped in Spanish moss—an ideal habitat for the deer and wild turkey that roam The Ranch. The course underwent a multi-million dollar enhancement, and now features a layout restored to Pete Dye's original design, T1 Bentgrass, enlarged greens and improved tee boxes. In the spring of 2013, our golf clubhouse went through a $1 million redesign. 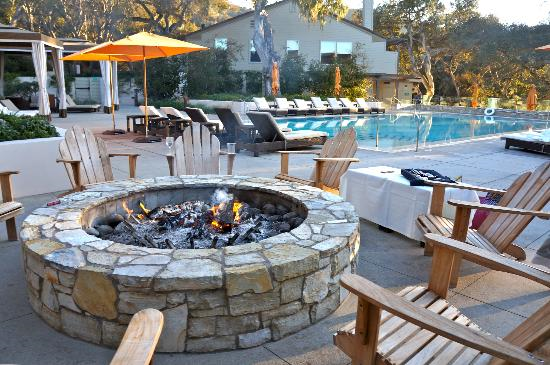 In addition to upgrading many of the indoor spaces with fireplaces, additional flat screen TVs, more relaxed furnishings and locker rooms upgrades, we also expanded many of the outdoor patio spaces adding several cozy fire pits, a water feature and friendly service for a great casual dining option. 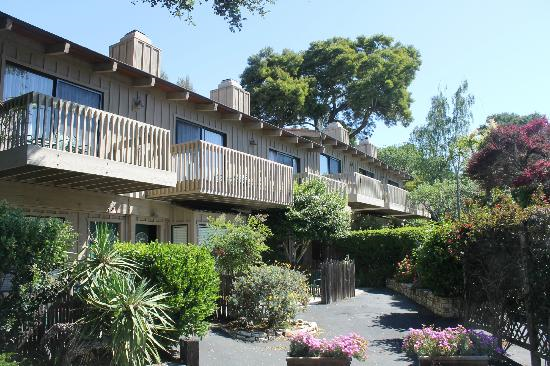 Carmel Valley extends from the coastal village of Carmel-by-the-Sea into the heart of the Santa Lucia Mountains. Because of its location, the climate tends to be a lot warmer, sunnier and less foggy than the coast. 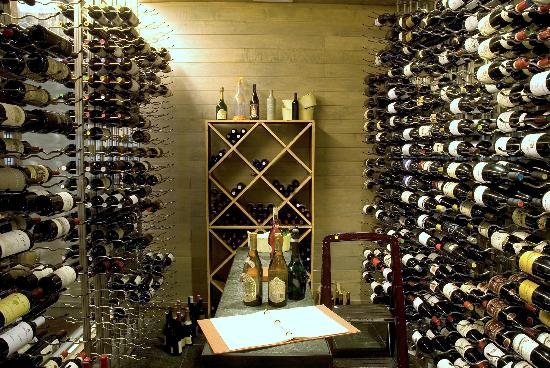 This is the same reason the area is such a premier wine-growing region—in fact, Monterey County was just ranked as a top 10 global wine destination by Wine Enthusiast Magazine. And, at just an hour from Silicon Valley and a short drive from everything the Central Coast has to offer, Carmel Valley is the perfect base camp for any getaway. One of the finest spa resorts in California, Carmel Valley Ranch is a playground for all ages, and while some guests may seek joy in the oak forest testing their physical endurance, others may find the most restorative play takes place at Spa Aiyana. Spa Aiyana, which translates to “eternal blossom,” is nestled in the treetops overlooking pastoral Carmel Valley below, adjacent to the resort's main gathering area, the Lodge and the Lodge pool. Being on Native American grounds, the name fit so well with the 500 acres of garden on which it sits. The spa spans 10,500 square feet and has 11 treatment rooms, most of which have private outdoor terraces. There are three couples treatment rooms, grouped in the same wing, allowing them to be sequestered for private functions, such as pre-wedding and birthday spa celebrations. The spa also features private men's and women's locker rooms, with steam saunas, as well as a co-ed Relaxation Lounge and Fitness Center. Spa Aiyana's inspiration unfolds with each passing season, allowing us to provide our guests with uniquely cultivated products that showcase the "craft" of customized spa rituals. The abundance of florals, herbs, and botanicals that dot the landscape of Carmel Valley Ranch is truly a gift! Our natural harvest is continuously cultivated and renewed, and we bring that to each and every guest experience offered at Spa Aiyana. Treatments in the spa are each based on one of four specialized gardens, Lavender, Herb, Aiyana and Alchemist, which use the invigorating, restorative and relaxing energy found in the natural world. Spa services include massage therapies, body therapies, advanced and organic skincare, visible results oxygen fusion, nail care, and waxing. The magnificent Monterey Peninsula has been called the greatest meeting of land, sea and sky and is recognized as an ideal vacation and business destination. While it is a given that the natural beauty of the area draws visitors with endless activities including golf, biking, and sailing, it’s the wine tasting and dining in local restaurants that keep them coming back. This beautiful seaside community combines all the charm of small town America with an endless variety of recreational and cultural activities. Monterey's rich history, the saga of California's Mission Trail, historic Fisherman's Wharf and Cannery Row, 20 world-class golf courses, the world's best aquarium, hotels, a unique variety of shops and galleries and a spectacular assortment of parks and natural areas combine to provide a truly unrivaled place for your next getaway. Monterey County has long been known as a mecca for outdoor activities, and world-class hiking, biking, surfing, kayaking and golf are just a few of the many activities that are at your fingertips. The area also offers an array of relaxing and romantic activities like fine dining, wine tasting and scenic drives. 17 Mile Drive in Pebble Beach is a fantastic way to see one of the most beautiful parts of the peninsula. Framed by beautiful cypress trees and home to some of the most famous golf in the world, Pebble Beach is definitely worthy of a day trip. Pebble Beach courses include Spy Glass, Cypress Point, Spanish Bay, Poppy Hills, MPCC and of course, the course at Pebble Beach. From world renowned golf and luxury resorts to Carmel Valley wineries, Carmel offers the quintessential California experience. Carmel and its surrounding areas provide a variety of one–of-a-kind experiences, and the mild temperature allows visitors to enjoy this magical place year-round. Carmel Valley in particular averages over 300 days of sunshine annually. Carmel Valley is a sublime pastoral river valley nestled into the towering Santa Lucia range and is one of the finest wine growing regions in California. The main artery is Carmel Valley Road, which starts at scenic Highway 1 and meanders eastward, winding along Carmel River past endless opportunities for recreation, entertainment, sumptuous food and premier wine tasting. 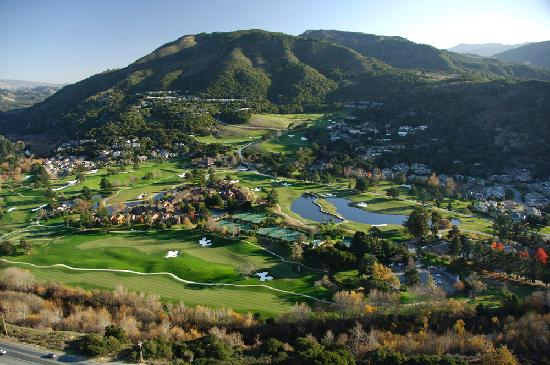 In Carmel Valley, you will also find three championship golf courses, several world-class resorts as well as quaint country inns. 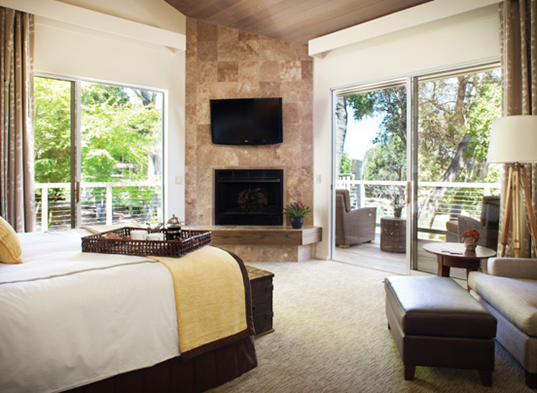 Carmel Valley Ranch is one of these luxury Monterey hotels. Not surprisingly, this gorgeous region of the Central Coast also plays host to some of the most distinguished wine, food, art and music events in California. So whether you're looking to plan a local event, your dream wedding, reunion, milestone celebration or business meetings Carmel is the ideal location that will leave you with memories of a lifetime. Good food isn't hard to come by in California, but there’s nowhere else you’ll find such fine dining in Carmel. No other resort combines the area's freshest and best ingredients, the acclaimed talents of Executive Chef Tim Wood, and the playful spirit that describes Carmel Valley Ranch. Even Brussels sprouts taste good here. 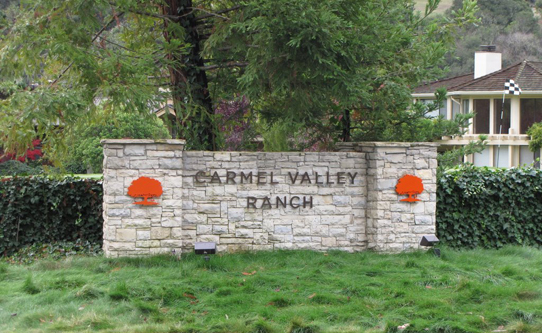 Carmel Valley Ranch is nestled in the heart of California’s most fertile growing region. The area’s rich history of wine growing and sustainable, organic farming is reflected in Chef Wood’s fresh, natural and seasonal menus. Fresh seafood comes directly from the waters of the Monterey Coast and is delivered daily by Fisherman Jerry. Many of the fruits and vegetables featured in Chef’s dishes are grown at the Ranch’s on-site organic garden, literally picked within walking distance from the kitchen. Chef enjoys a very close relationship with our gardener, Mark Marino. The two have a passion for the land, and it shows in the heirloom and artisanal approach to our produce and ultimately our menus. What’s more, The Ranch has its own salt house that produces homemade small batch sea salts used in many of the Chef’s creations. When you combine Chef’s passion with our artisans and their “canvas”—our gardens, vineyards, lavender fields, the amber gold of our 125,000 Italian honey bees—the menus take on a very personal taste and embody what is unique and special about right here: Carmel Valley. We’re lucky to be at such a great crossroads—fresh seafood from the Monterey Coast, a thriving community of food artisans, and produce that’s literally picked within walking distance of our kitchen. Chef Wood’s focus is squarely on local, sustainable ingredients and true farm-to-table cooking. Those familiar with Chef Wood won’t be surprised by his emphasis on family-style service, his sophistication, his sense of adventure, and most importantly, his wit. In other words, you’ll find that eating at Carmel Valley Ranch is just as fun as everything else. If you want, you can even order dessert first. Executive Chef Tim Wood’s culinary exploits—many involving fruits and vegetables from The Ranch’s Organic Garden—are on full display for breakfast, lunch and dinner in our Lodge Restaurant. Indoor, outdoor and lounge seating are all available. The casual and playful River Ranch Café resides The Ranch’s most historic building (132 years old). Join us poolside at the high-energy, family-oriented River Ranch for a mix of your favorite grill items, sandwiches, salads, sweets, coffee, smoothies, beer and wine. Order at the counter or browse our bountiful Grab ‘n Go selection; indoor and outdoor seating are both available. In the spring of 2013, our golf clubhouse went through a $1 million redesign. Not only did we enhance the great room and outdoor patio spaces, but we also completely re-imagined our Clubhouse Grill and menu. Conveniently located near the 9th and 18th holes, The Clubhouse Grill offers quick and delicious breakfast, light fare dining all day with sandwiches, salads, tacos, beer on tap and a full bar. 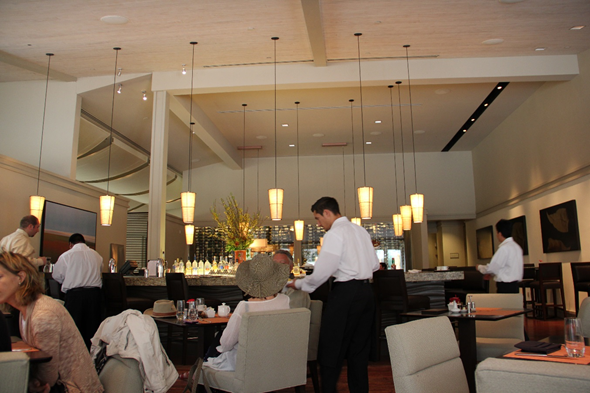 The Clubhouse is ideal for leisurely afternoon dining on the expansive patios overlooking the hills of Carmel Valley or a quick bite before or after your round. While Carmel Valley Ranch has been a favorite getaway spot for decades, the resort recently reimagined itself as something more than a traditional escape. Because of its amazing location, they’ve had the opportunity to create something truly unique—a place dedicated to the idea of play. Where else can you play 18 holes of world-class golf, access hundreds of miles of hiking trails, wander around an organic garden, learn about honey bees in an apiary, explore vineyard terroir, enjoy mountain-top yoga, and then relax by your choice of pools—all within walking distance of your suite at one of the finest hotels in Carmel?